BERLIN (Bloomberg) -- Plaintiffs seeking more than 4 billion euros ($5 billion) in damages from Porsche SE, the holding company behind the automaker of the same name, may find it difficult to make their case in a German court system that offers them only a limited view of the company's inner workings. Five cases claiming the company manipulated stock prices in its failed bid to take over Volkswagen are pending at a Braunschweig court, with the first hearings to be held on Wednesday. 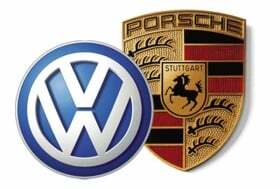 The Braunschweig suits are part of a series of litigation Porsche has faced since it disclosed in October 2008 it controlled 74.1 percent of VW, partly through options, and was seeking to acquire 75 percent and eventually a takeover. The announcement caused VW's stock to surge as short sellers raced to buy shares borrowed in a bet that VW would fall. The investors claim Porsche lied in a March 2008 statement denying it planned to take over VW, because at that time it had already begun buying call and put options to secure control. Seven months later, the option plan risked backfiring when VW shares fell. Porsche then issued the October press release in an effort to push VW's share price up, the plaintiffs claim. That was also false, according to the lawsuits, because the company then was no longer able to finance a takeover as a result of the credit crunch. While the plaintiffs have the full burden of proving wrongdoing, they have few tools, according to Thomas Moellers, civil law professor at Augsburg University. "Different from the United States, plaintiffs here have no pre-trial discovery, so they practically have no access to Porsche's files," Moellers said. "Only prosecutors have the weapons to seize papers, question witnesses and find out what actually happened." While Stuttgart prosecutors said last year their probe "solidified" suspicions Porsche didn't properly inform the market between 2007 and 2009 about its plan to take control of VW, the investigation isn't finished so the plaintiffs haven't yet been granted access to the evidence collected. "Porsche strongly rejects the claim it misled the markets," the Germany-based company said in a statement. "The plaintiffs are professional investors who knowingly took enormous risks. The suits are an attempt to make up for their own misjudgment." The options strategy, the brainchild of then CEO Wendelin Wiedeking and Holger Haerter, chief financial officer at the time, faltered in 2009 and nearly bankrupted the carmaker. A series of lawsuits in the United States and Germany resulted and Stuttgart prosecutors have been investigating the executives since. For tactical reasons, the Braunschweig plaintiffs should have waited for the criminal probe's results, which may help their case, Moellers said. While a statute of limitation forced them to sue by the end of last year, they can still seek access to the investigators' findings when the probe ends. At Wednesday's hearing, the judges will only be looking into the merits of the two smallest cases -- seeking 3.1 million euros and 1.6 million euros respectively, though their comments may indicate the outlook for all five. A third hearing on Wednesday, concerning two suits seeking 1.8 billion euros and 351 million euros, respectively, will only cover whether a company that bought claims of U.S. and German investors must post collateral covering legal fees. The fifth case, seeking 1.96 billion euros, will be heard later. Prosecutors are investigating under market-manipulation rules, which aren't available to individuals pursuing civil claims in German courts, according to Gregor Bachmann, a capital markets law professor at Berlin's Free University. Instead, they must rely on general tort law that grants damages if someone viciously harms another person. "The basic rule is you're liable if you use any means to reach your goal, regardless of the consequences for others," said Bachmann. "If you lie in a press release just because you want to boost a stock price, that's certainly covered." In cases from the dot-com bubble era, courts have awarded damages when "pretty blatant lies" were used, Bachmann said. Porsche may try to argue the decision to seek a takeover was only made when it was actually disclosed, he said, and that everything before was the company mulling its options. Insider-trading rules, also invoked by the plaintiffs, generally only apply to the stock issuer -- that's VW, not Porsche, both Bachmann and Moellers said. One of the lawsuits also targets VW, arguing that Europe's biggest automaker should have disclosed Porsche's intentions. VW knew about it because Wiedeking and Haerter were serving on its supervisory board, the plaintiffs claim. Michael Brendel, a VW spokesman, said in an e-mail the claim is unfounded. "At first glance, that argument seems a bit wild, but the law accepts some sort of 'knowledge attribution,'" Bachmann said. "A company knows what its executives know. How much this applies to supervisory board members, who aren't managers, is an open issue."